How Does Palliative Care Benefit Cancer Patients? There are countless cancer patients out there. However, each patient’s journey through an illness is different. Their culture, race, resources, as well as the support they get from friends, family members, and the community would all factor into the equation. Furthermore, one’s approach would also determine their experience with the disease. Palliative care is a compassionate comfort care that centers on pain management and symptom control. It can be administered in any stage of a life-limiting illness, and along with other curative treatments. This type of care, in and of itself, cannot cure cancer, but it can effectively manage the pain and symptoms caused by the disease. It helps provide relief from the physical, psychosocial, and emotional turmoil caused by the illness. 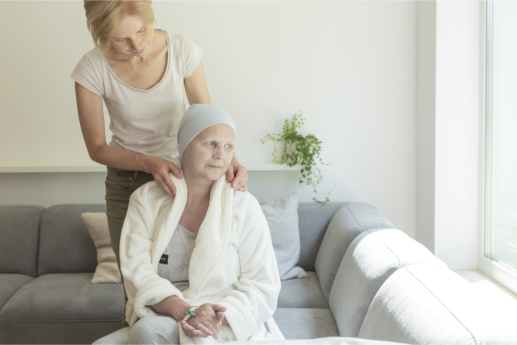 You can depend on providers of hospice and home health care in San Antonio, Texas to help families effectively cope with cancer. Those who have been diagnosed with this deadly illness must find ways to cope during treatments. Palliative care can help cancer patients move forward by addressing their fear, anxiety, depression, family concerns, stress, and so many more problems. Cancer patients deal with so much physical upheaval throughout the course of their illness. They experience nausea, breathing difficulties, sleep disturbances, and so much more. While holistic methods and medications will address those symptoms, palliative care will manage the pain and provide as much comfort as possible. Individuals and families afflicted with cancer not only have to deal with the illness itself, but the legal, financial, employment, and other issues it brings. These can be overwhelming for the entire family to handle on top of their existing problems. A palliative care team addresses your practical needs as well, with members helping you find community resources that would aid your particular case. Four Seasons Hospice, a premier provider of hospice and senior care in San Antonio, Texas, is an agency you can turn to for all your palliative care and support needs. Don’t hesitate to be in touch with us today. This entry was posted in Palliative Care and tagged Cancer Patients, home health care, medications, Pain Management. Bookmark the permalink.